I like Skelos Badlands, Breeze Harbour, and Sunny Beach! 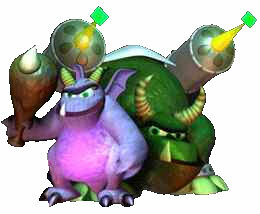 i haven't completed any of the first three spyro games yet. [i know, i'm lame.] and i've been playing them for the past FIVE years! i just find it really hard to beat because you have to get every little last gem! My fav level in this world is Breeze Habour. I dunno why it's just soooooooo easy to complete! Winter Tundra is my fave homeland! Must you people comment on every single page? All of your posts are off-topic, which is ironic since this one is also. RIIIGHHHTEOUS!! !.i WON tHE GAME 100% already...10 times.. ...THnKS!! !